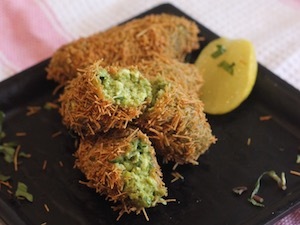 Filled with the goodness of seasonal harbhara chana (fresh chickpeas) and crumbled Paneer, these Chutney Chana Croquettes are a delightful Parsi snack alternative to the boring veg kebab! 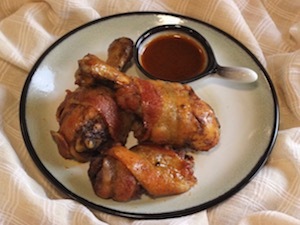 After seeing at least a thousand videos of bacon wrapped chicken on Tasty and other videos, it was time to make a Parsi edition. Here’s the Bacon wrapped Atheli Marghi cooked the same way but with Parsi spices. A twist on the traditional, we have taken the Parsi wedding favourite Bhaji Dana ma Gosht and made it with Red Amaranth & Green Chickpeas. 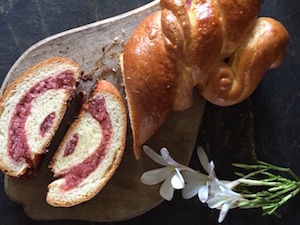 An experiment involving a swiss braided bread and a Parsi Kopra Pak filling that turned out to be a tasty success! 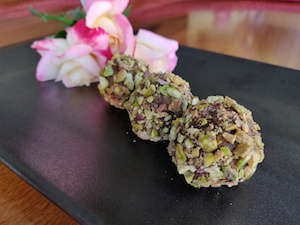 Tasty and healthy, these yogurt eggs made by tweaking an age-old Turkish recipe are the perfect start to your day. 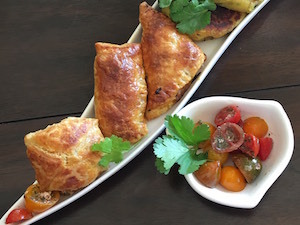 Crispy on the outside and deliciously spicy on the inside, these Parsi type Kheema Samosa’s make the perfect starter for parties and are enjoyed by kids and adults alike. Imagine a stack made with wafers, mutton bukka, tomatoes, cheese and fried egg. 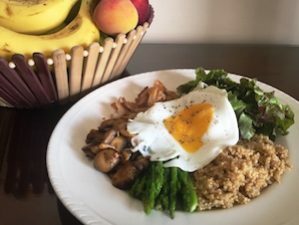 Now go make this in your kitchen for breakfast and enjoy the carb fiesta! 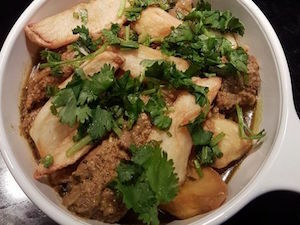 Everyone loves a good Pork vindaloo but its a shame you can’t have some for breakfast or tea. 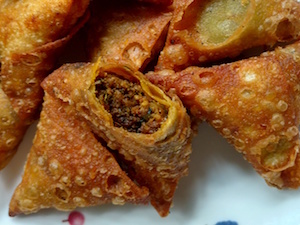 Unless, you make yourself some Vindaloo Puffs in which case it’s totally okay. 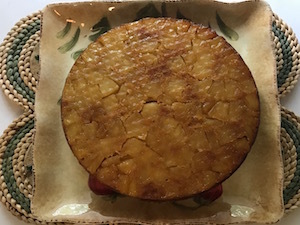 A Parsi version of the popular 1970s pineapple cake, this one is an heirloom recipe that’s been tweaked to become a bit more healthy and a lot more tasty. 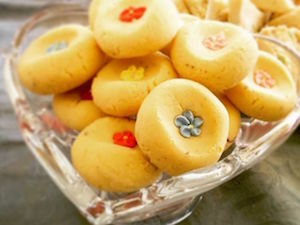 Saffron Peda’s are a key component of the Parsi Besna and Paglaru ceremonies for Parsi children. 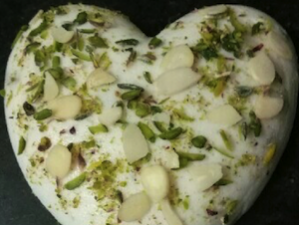 Here’s how you can make a gluten free version at home. 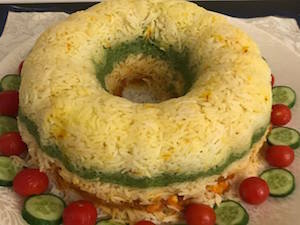 An all time favorite, fuss free but fancy enough to impress all dish, Ribbon Rice is a unique pulao featuring prawns cooked in a red patio gravy that is then topped by a green chutney layer. 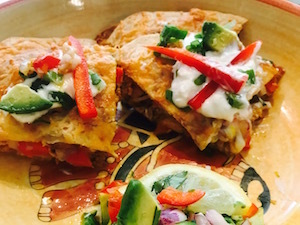 A good ol’ Pars-Mex Quesadilla, this dish is a leftover makeover that is easy enough for week nights and tasty enough for even your pickiest eaters. Parsis love eating their bacon and pork but not many cook with it. 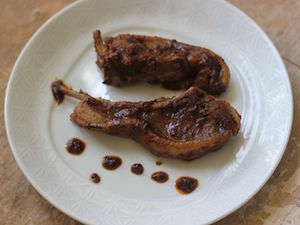 Here’s a simple recipe for making Pork Ribs at home, Parsi style. 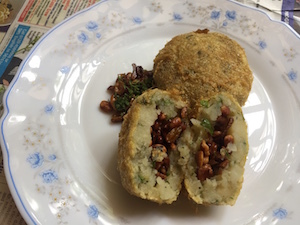 Stuffed to the brim with crispy onions, raisins and fried nuts, this Nutty Pattice is the perfect Parsi vegetarian treat for parties. Parsis have mastered the art of adding an egg to just about anything and we have not even spared the king of summer fruits, the royal mango. 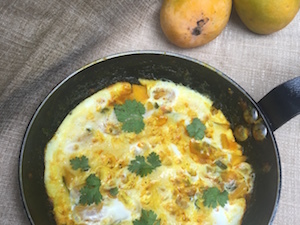 Made with semi ripe mangoes, the Mango per Eedu is a delicious way to eat your eggs! A simple egg dish made with seasonal tender green garlic shoots that transform the usual scrambled egg into a flavour packed breakfast. 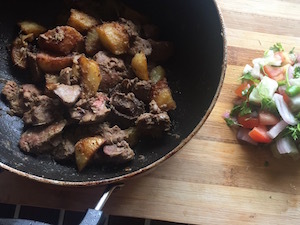 Parsis love eating offal and chicken liver is a hot favourite. 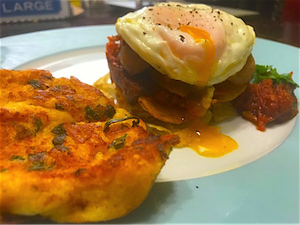 Here’s a story about Khari Kaleji, a mixed marriage and three ways of serving this Parsi breakfast classic. A unique Parsi patio made not only with prawns but also fried potatoes and boiled eggs. Prepared with coconut cream and a touch of white wine, this is a prawn patio with a twist. 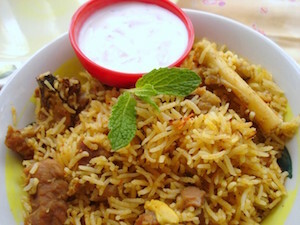 Nothing annoys me more than a ‘secret recipe’ and it is about time someone revealed the true secret behind the iconic Irani Berry Pulao. 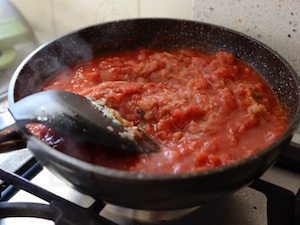 Here’s my not so secret recipe for you to make at home. 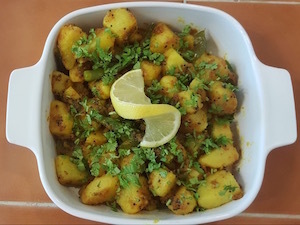 The potato is one of the very few vegetables that Parsis across the board will happily eat any day of the week. 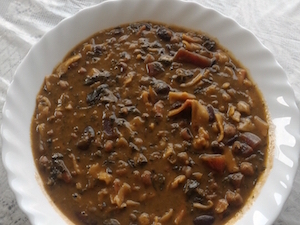 And, this recipe for Hing Rai no Papeto is a Gujarati dish that Parsis have adopted as one of their own. 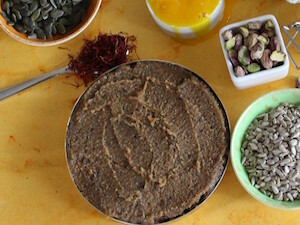 Ghau nu Doodh (Wheat Milk Extract) is a protein laden superfood had over the years by Parsis. 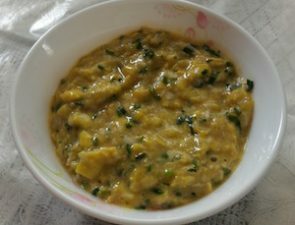 In its traditional form as a jelly it can be quite unpalatable for kids and hence here’s a unique Ghau nu Doodh Custard which packs in nutrition while being super tasty. 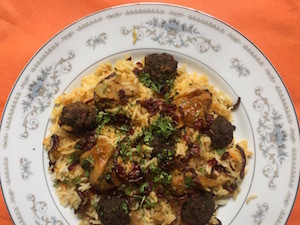 Cooked on all happy occasions in a Parsi household, the Gosht & Kebab Pulao is a classic Parsi dish that has any Parsi’s favourite ingredients – rice, mutton, potatoes and eggs. 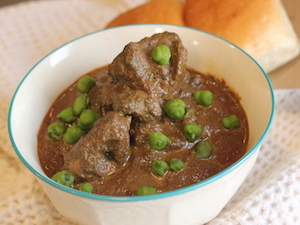 Dahi ma Gosht is a tantalising mutton curry that was traditionally served at Parsi navjotes. 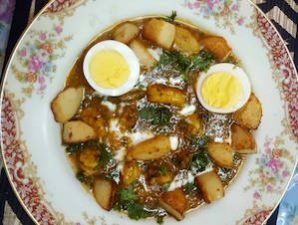 It is super easy to make and in my meat-loving opinion beats the Gujarati Dahi Kadhi any day! 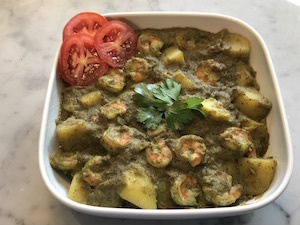 A leftover makeover, the Chutney Prawns Papeto makes for a tasty weeknight dinner that is cooked in a jiffy. A must eat for all prawn lovers! The latest food craze to hit the world is the Buddha Bowl. But wait, its vegetarian. 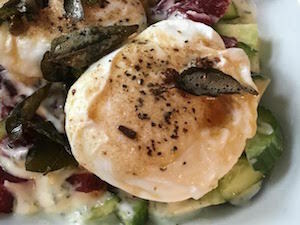 Our guest writer Roxanne Bamboat came to our rescue and has created a Parsi version of the Buddha Bowl complete with Bacon and Eggs! 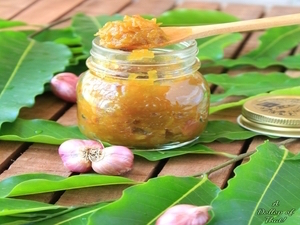 Ambakalyo, a sweet and tangy chutney made by the Parsis that is similar to the Jaggery & Mango pickle, but is made with ripe mangoes and served at Parsi Ghambars.